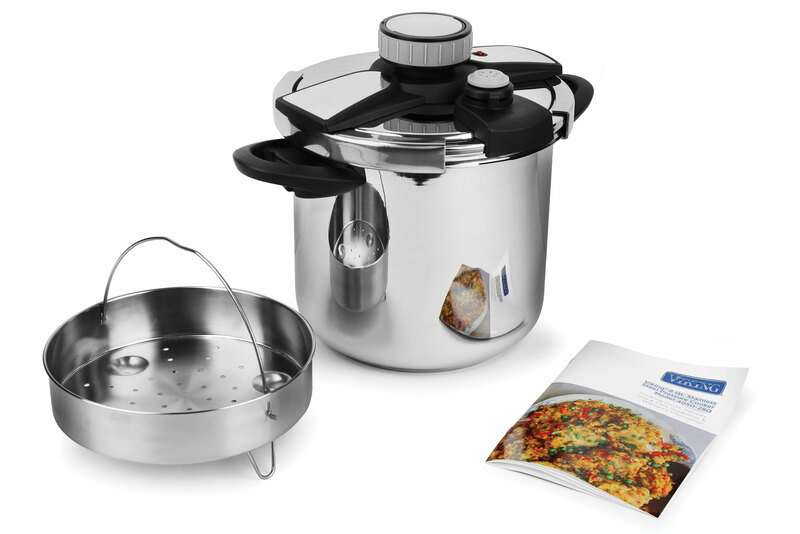 The Viking Easy Lock Clamp Pressure Cooker with Steamer reduces time spent in the kitchen preparing meals up to 70% when compared to traditional stovetop cooking methods. 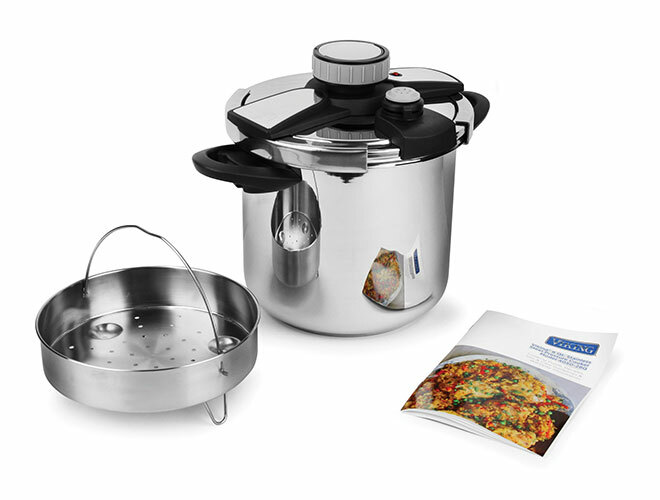 This pressure cooker traps steam inside, which builds up pressure to create hotter temperatures, and its tight seal locks in heat, moisture, and flavor, as well as vitamins and minerals for exceptionally healthy, great-tasting meals. Perfect for soup, poultry, chili, and many other entrees, including dessert. 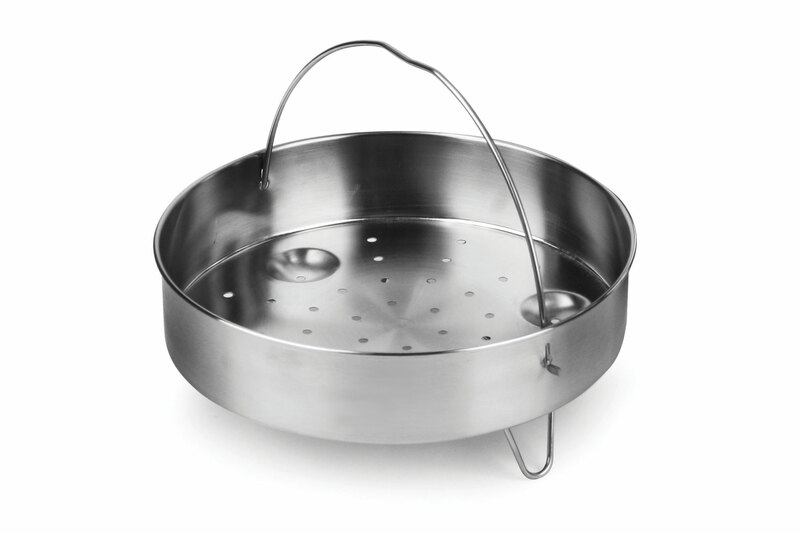 The steamer basket is perfect for fish, vegetables and more. 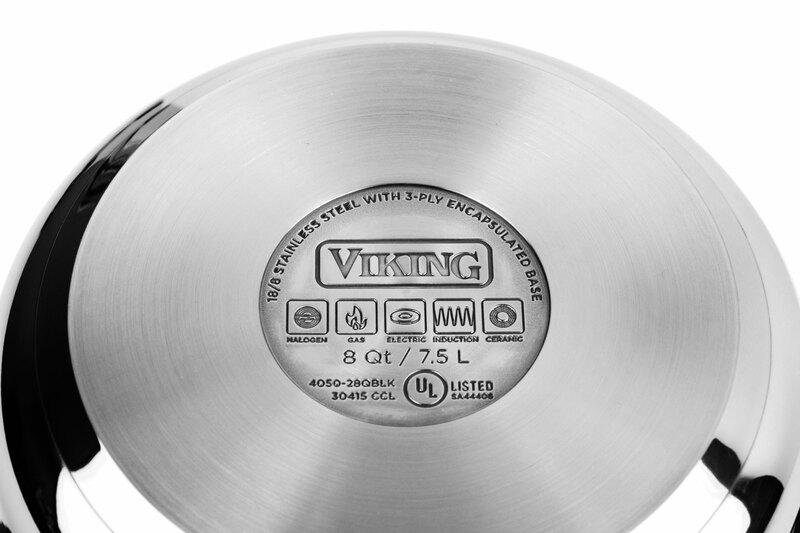 The stainless steel lid features a domed design to enhance heat circulation for more even cooking. 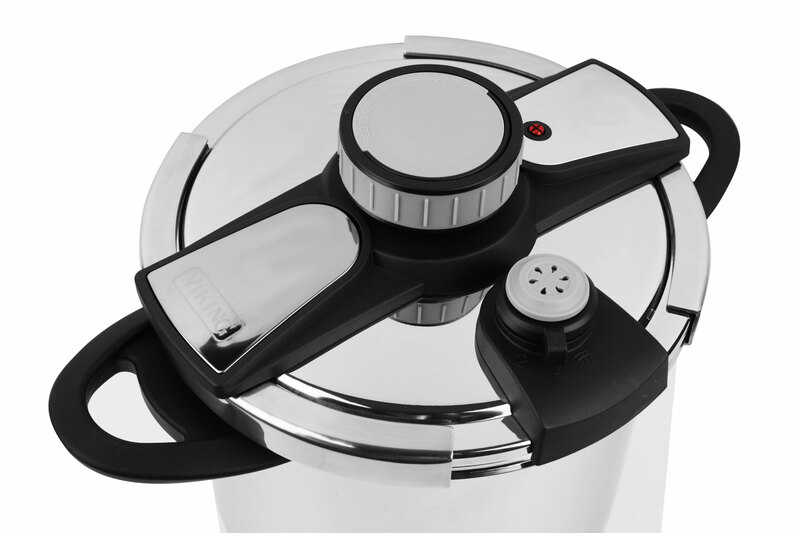 The pressure indicator shows when the cooker is under pressure and locks the lid in place and identifies when the cooker has reached full pressure. 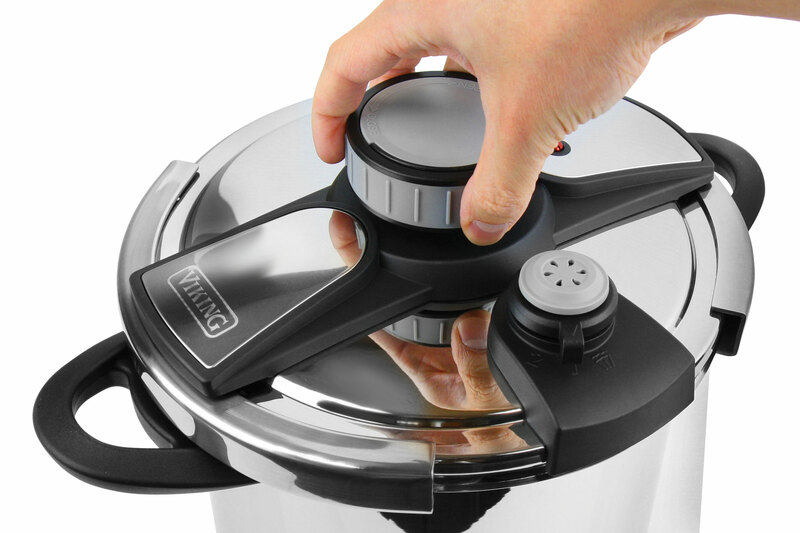 The non-slip lock knob easily and securely clamps the lid down on the pot. 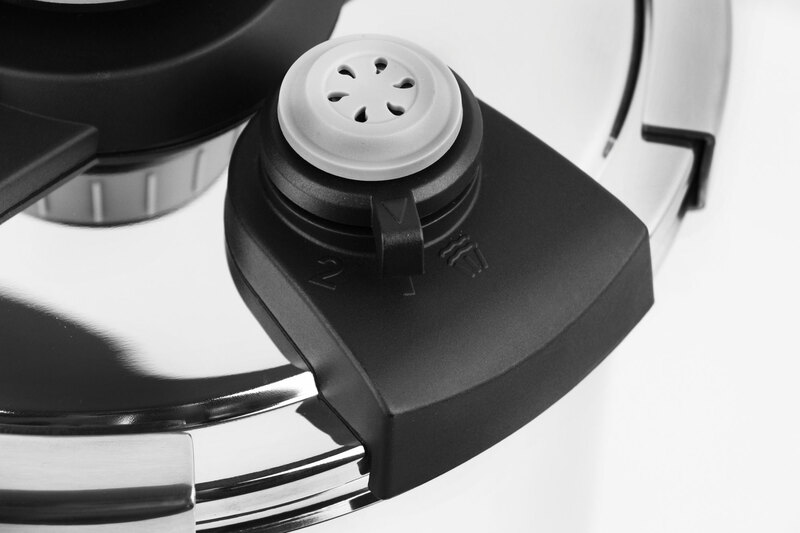 Place the lid on any direction you wish, then simply turn the knob to create a pressure safe seal and you are ready to cook. 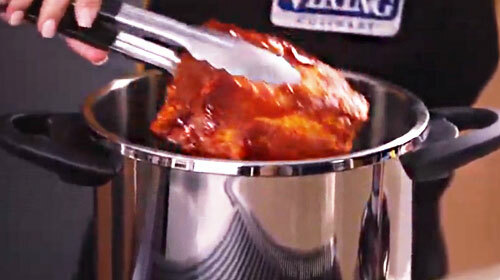 Easily adjust the pressure or vent the cooker with a turn of the pressure control valve. 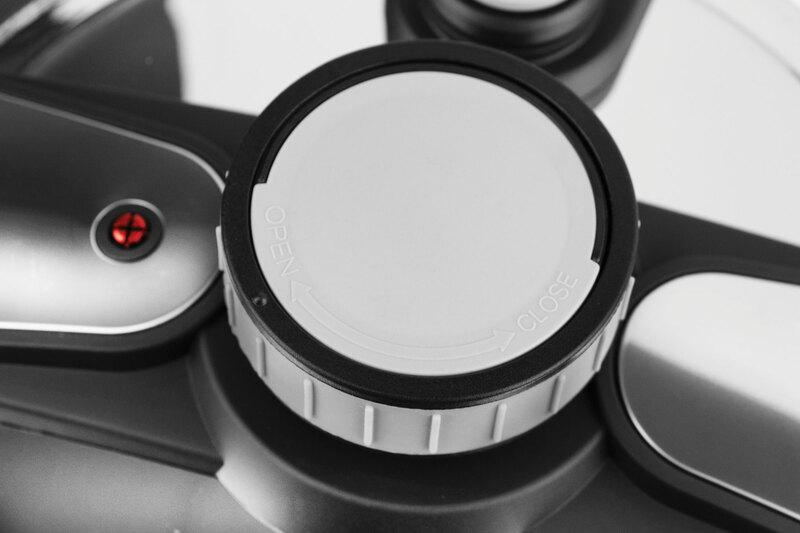 The stay-cool easy grip handles work comfortably with oven mitts for easy transferring. 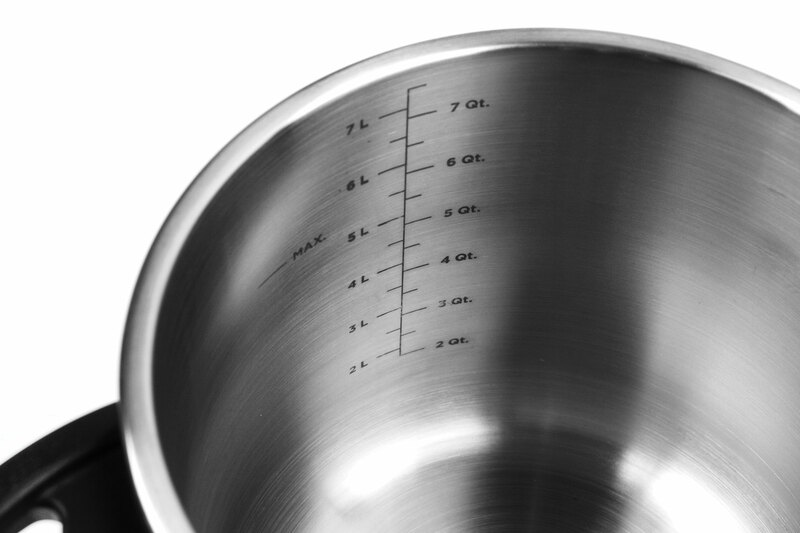 The interior features measurement markings in quarts and liters for quick and precise measurements. 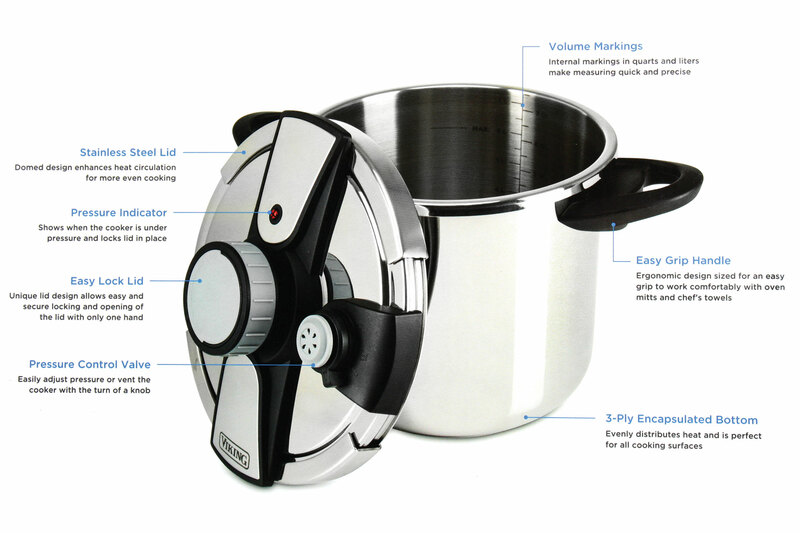 An essential tool for busy and health conscious cooks, making it possible to serve a variety of healthy meals and side dishes in less time than is required for conventional cooking.